A new captain has been appointed to head up the British team for the online Pandanet Go European Team Championship 2013 following the UK’s demotion to the C League, after they failed to win a single game last season (A League Finalists Set in European Team Championship 5/10 EJ). Chris Bryant 1d (pictured), a 23-year-old software engineer from Bury, who plays at St Albans Go Club, has been charged with reversing the team’s fortunes and his personal go history speaks of a man with the resolve to achieve his goals. 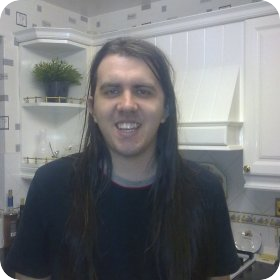 Bryant learned go in February 2011 and early on made a commitment to try and reach dan grade within a year, signing up for the British Go Association (BGA)’s Shodan Challenge, where ambitious players are supported in a formal attempt to reach a specified higher grade within one year. The puzzle-loving Bryant attributes his go success to solving an estimated 10,000 tsumego problems in a year — including about 1,000 in the first week alone, bringing him to 13-kyu — and in fact has only played about 300 actual games. Bryant not only took the Challenge and met it, but also displayed his organizational flair by running the Shodan Challenge in 2011 – 2012 for the BGA. At that time there was an individual mentoring system, but this was difficult logistically and as Bryant explains, “The way [it] works at the moment is that there is a forum/Google group where people can post up games to be reviewed”. The BGA has also held closed teaching events for stronger players to improve. Bryant has already identified and made contact with more than the maximum pool of twelve (minimum six) strong players from which four will be selected for each round . This year’s Championship starts in September.